The treatment of tuberculosis patients is being carried out at the state's expense, regardless of the stage of the disease. Isolates from MGIT liquid culture were used for the qualitative detection of Mycobacterium tuberculosis complex from AFB positive MGIT tube, based on the detection of a protein (MPT64) secreted by Mycobacterium tuberculosis. 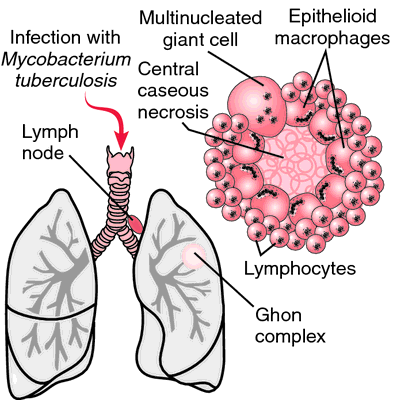 Anyone can get tuberculosis, but certain factors can increase your risk of the disease. The study included all types of tuberculosis cases registered for treatment at Karad Tuberculosis Unit for the year 2014. One of those 2 patients did not have any prior history of anti tuberculosis therapy and was diagnosed with primary multidrug resistant tuberculosis whereas the other patient being diagnosed with tuberculosis previously and completing a course of anti tuberculosis therapy. One of the major constraints in the control of tuberculosis and a low case detection rate in under developed countries is not practicing "TB contact tracing" which is a common practice in developed countries. According to data from the National TB Program, in 2015, there were 294,907 cases of tuberculosis among patients who had already begun treatment. 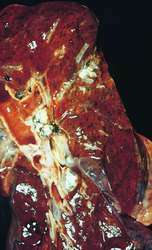 Gastric tuberculosis may be associated with immunodeficiency;[sup] bulk of such cases are from developed countries. 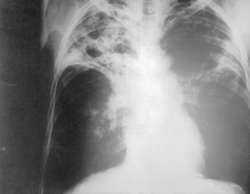 Despues de Baja California, las entidades del pais con mayor "incidencia y mortalidad" por tuberculosis son Guerrero, Sinaloa, Sonora, Tamaulipas, Tabasco, Veracruz y Chiapas, segun las mas recientes estadisticas, de 2014. North America and Latin America regions is expected to dominate the tuberculosis therapeutics market throughout the forecast period. Under DOTS, he informed that 270 free Tuberculosis Diagnostic Centres and 943 Tuberculosis Free Treatment Centres were functioning in different parts of Sindh where six to eight months long treatment is being provided under supervision of responsible persons. In the present paper, we report an uncommon case of spinal tuberculosis with sacrococcygeal location revealed by a chronic low back pain that was successfully managed.